As a crime fiction reader, what could be better than finding a psychological thriller that is so effective and immersive in its portrayal of an unhinged mindset that it actually makes you start to feel just a bit unhinged yourself? Finding a book that does this effectively is never easy, but today’s featured title does it in spades. IN THE VINES by Shannon Kirk will make for twisted, page-turning summer reading - a shocking and purely entertaining psychological suspense novel for the reader who doesn’t want to just see the deterioration of the story’s main characters, but wants to feel it, too. 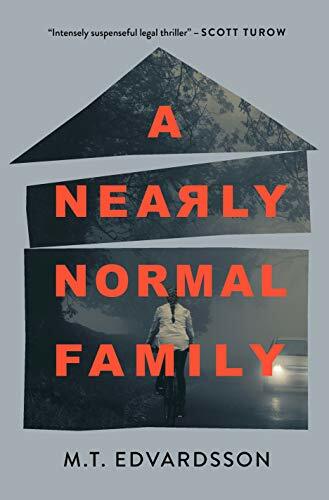 Kirk has written an immersive, addictive story of toxic family secrets and the fallout of their surfacing. From its atmospheric backdrop (a seaside New England estate, now falling into disrepair) to its vivid, impactful writing and (let’s not forget) genuinely twisted central mystery, IN THE VINES delivers the total package - and makes for the perfect addition to your summer reading list. If you’re an avid CBTB reader, you're likely to have come across reviews for books I consider “popcorn reads” - that is, purely entertaining and totally binge-worthy psychological suspense novels. IN THE VINES has all the entertainment value of a “popcorn read,” but it has a much stronger bite. 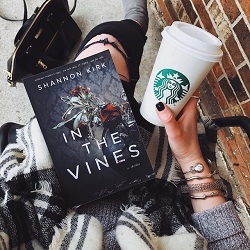 Imagine crossing a juicy suspense story surrounding a wealthy family’s secrets with a deranged main character and stomach-turning revelations—that’s the potent blend Shannon Kirk serves her readers in IN THE VINES. There’s nothing subtle about IN THE VINES, and I’m quite confident that’s exactly how the story’s Aunty Liv would want it. Much of this story’s exceptionalism is rooted in Kirk’s rich, vivid prose. Kirk writes with assuredness, detailing her characters’ darkest secrets, the story’s stunning ocean-front locale, and everything in between - all with the same amount of precision and care. Kirk’s writing is so detailed, in fact, that I did find myself going through a bit of an adjustment period at the outset of this book—perhaps my previous book had been of a much sparser writing style, but I did need to give myself a chapter or so to adjust my mindset and fall in line with Kirk's richly-developed writing. Once I did, I was completely, utterly hooked. (That being said: if you are looking for a more sparse crime novel, this won’t be the right choice!) Kirk’s writing is, further, a fantastic example of how a book can be addictive without being a speed-read. IN THE VINES is certainly accessible and gripping - I could hardly set this book down once I got into its rhythm - but I didn’t find myself speed-reading it. Instead, I wanted to savor each and every sentence Kirk strung together. Even in her descriptions of the most horrific things, there’s such beauty and precision—observing her use of language became a whole other source of entertainment for me, on top of IN THE VINES’ killer plot. And when I say “killer plot,” I really do mean killer. IN THE VINES delivers the kind of genuinely deranged plot that’s been missing from my psychological thriller reading list lately. Sure, there might be broken hearts and relationship betrayals here, but most of all, there’s pure, utter insanity. Kirk’s story descends into madness alongside its characters—readers will feel the book gradually building towards what they will correctly assume can only be an explosive finale, and they won’t be disappointed. Kirk walks that fine line between pleasingly dramatic and just plain over-the-top - a very fine line indeed, but one that readers will find she consistently falls on the right side of. There will be shocking twists, horrific reveals, and some genuinely stomach-turning moments of gruesome revelations, but Kirk wraps this entire story up in a measure of consistency and authenticity that somehow makes even the most dramatic moments of this story feel right. That is to say: Kirk doesn’t pull any out-of-left-field shocks, but instead leaves breadcrumbs (very disturbing breadcrumbs, at that) for readers to follow in pursuit of the truth. IN THE VINES is the perfect storm of family horrors and tragedies, and Kirk masterfully juggles the many elements that combine to make this story so genuinely shocking and entertaining. At the center of this storm is one of the most disturbing, disturbed, and somehow endearing characters I’ve read in ages: Aunty Liv. I know we’re (of course) supposed to root for Mop, our protagonist - and I did root for her, don’t get me wrong - but my loyalty really lies with the deranged, tragic figure of Aunty Liv. There’s a moment early on in IN THE VINES that so perfectly encapsulates what I loved about this book, and about this character: for reasons that will become clear to the reader, Mop finds herself at her aunt’s estate after years of being away. The estate grounds are in beautiful condition: well-tended gardens, green, manicured lawns, the works - and at the heart of it stands Aunty Liv, hair frazzled, teeth broken and missing, disfigured by all manner of scars. This contrast of natural beauty and interpersonal brokenness is yet another element that makes IN THE VINES so thoroughly compelling—and it’s a contrast that plays out throughout the novel. From Kirk’s gorgeous writing about twisted topics to the physical contrast between home and inhabitants, IN THE VINES plays with these unexpected pairings to fantastic effect. If there's anything better suited to summer crime fiction reading than a picture-perfect, seaside New England estate hiding dark secrets within it, I'm just not sure what that might be. In short: your summer reading list just grew by one book. IN THE VINES will deliver all the entertainment and drama you require from a summer read, with a healthy side of deranged, twisted character development and vivid atmosphere. Highly recommended! Plus: Read An Excerpt From IN THE VINES Here!